David Jones will be looking to use the redevelopment as a means to turn sales around. The department store reported operating profit had fallen 37.7% to $66 million. Top-line sales fell by 3.8% for the six months ended December 31, with comparable store sales 3.3% lower. 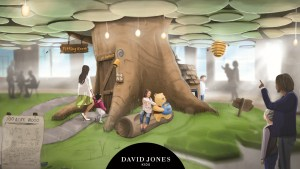 “This partnership with David Jones combines a premium vision for David Jones’ flagship store with Disney’s own iconic stories and characters to create a world-class retail destination that will delight both children and adults alike," Walt Disney ANZ senior VP and MD Kylie Watson-Wheeler says. David Jones and Walt Disney ANZ have entered into a new partnership that will see the top floor of the David Jones Elizabeth Street store rebranded as a Disney destination. Often known for it's 'luxury' brand proposition, the South African-owned department store will undergo a redevelopment to include some of Disney's biggest brands including Star Wars, Marvel and Winnie the Pooh. Split into five distinct sections, the new children's experience will feature Winnie the Pooh's iconic home, 100 Acre Wood, a Star Wars 'Jedi padawan' experience, a Disney Princess zone, a New York-inspired Marvel area and High Street, a premium experience for children. It will also be an evolving space that will see Disney’s extensive calendar of upcoming releases reflected in new experiences on both the floor and added event space. 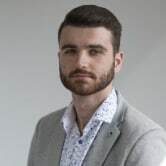 "There is strong alignment between our companies, both with long and proud histories of providing inspirational and memorable experiences to customers," David Jones CEO David Thomas says.